India takes the center stage as the once termed "sleeping giants of world football", takes a giant leap by hosting the FIFA U-17 World Cup 2017 - a platform for the future football stars to announce themselves to the world. 24 nations battle it out in six cities - Goa, Guwahati, Kochi, Kolkata, Navi Mumbai, New Delhi for the prestigious glory. Which channel will show the live telecast of FIFA U-17 World Cup 2017? The live telecast of FIFA U-17 World Cup India 2017 will be shown across Sony Pictures Network and Free to Air DD Sports. Where can you watch the live stream of FIFA U-17 World Cup 2017? You can watch the live streaming of the FIFA U-17 World Cup India 2017 on SonyLiv App. You can download the app from Google Play Store - Click Here. 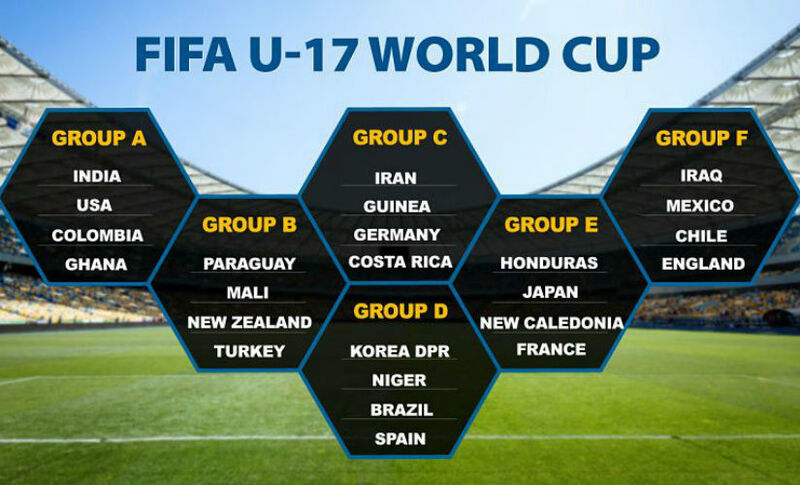 Day 1 of FIFA U-17 World Cup 2017 will see hosts India take on USA at the Jawaharlal Nehru Stadium, New Delhi. For once, cricket will take the back seat as football fever takes over the nation. Game on!